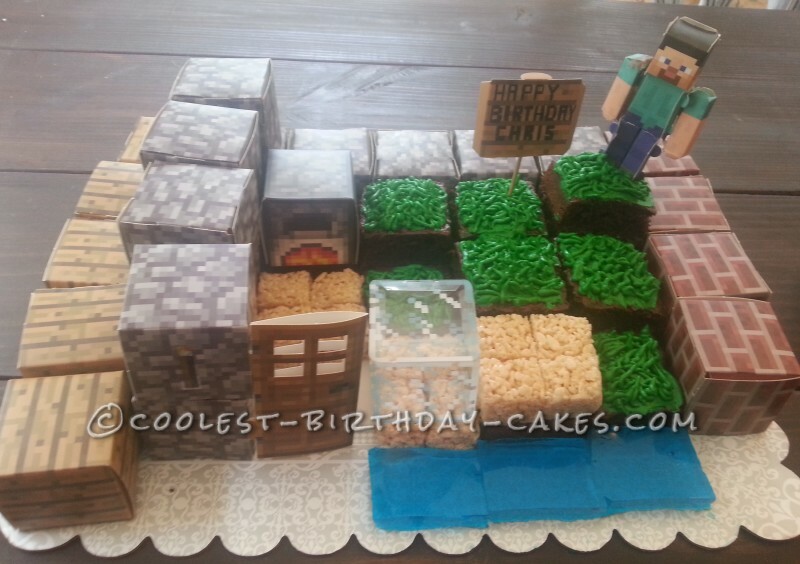 I started off this Minecraft block cake by making a dense chocolate cake in a rectangle cake pan. Once cooled, I cut out 2 by 2 inch squares and placed them in a random order on a cardboard cake plate. Some were stacked on top of each other and stabilized with wooden skewers. I then randomly placed Rice Krispie squares and blue jello squares around the cake squares. 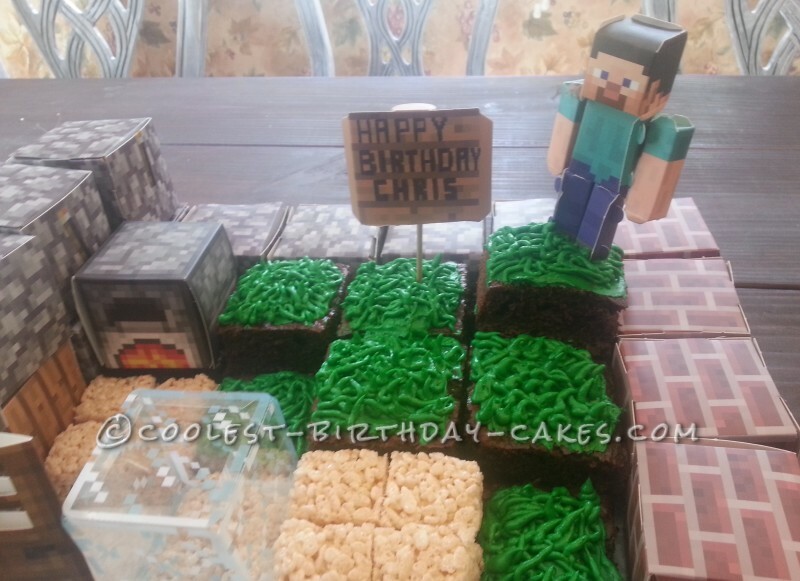 On the tops of the cake squares, I piped green frosting to represent grass. I purchased a paper Minecraft kit from Amazon and filled in the spaces with paper blocks. Steve was placed on the top and I made my own sign from the side of a block, a sharpie, and a skewer.